. 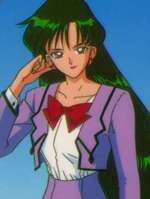 : Lunar Palace v.5 - Japanese: Sailor Pluto :. Setsuna is the guardian of the Doors of Time and the Time Corridor (a old passage that isn't used anymore, it is usually used by Neo Queen Serenity), which allows people to travel through time. Time Protector: Pluto has the power to stop time, but doesn't use it because it is taboo (would cause harm). 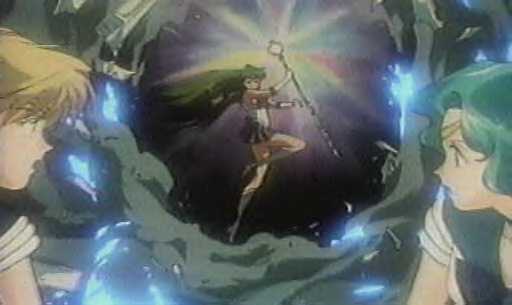 She used this to save Neptune and Uranus in the helicopter crash, Sailor Moon SuperS Episode 125.